Brandi Nell the Southern Belle: 1st Blogiversary AND a Giveaway! Today is my Blogiversary. Wow. A year?!? Really. A year. A year ago today I sat down and wrote my very first post. It really seems like yesterday. I had no idea with my first words of, “Hello World,” that I would begin a new chapter in my life and open myself up to a whole new world (cue Aladdin music) that I didn't even know existed. I’m really not going to get sappy…at least I am going to try not to. In the beginning, I really thought this thing was going to be just online journal of what we projects we were working on at the house (that only my family and friends would care to read) And in many senses – it still is. To be completely honest, I thought the whole concept of blogging was really cool… but who would really want to read my stuff? Was I being a little ego-centric thinking that people would actually care to read my silly little blog? Flash forward a year – I love blogging. I love reading your blogs. I love sharing ideas, memories, and funny stories with y’all. I love the friends I have made. Because of this “silly little blog” I have “met” some wonderful friends… friends that I talk to daily. They have become my blog/twitter family. In this past year you have been with us while we overhauled our master bedroom. You have cringed/laughed with me as I told you about Hubs’ run in with the chainsaw. You have endured my bad picture taking skills. You have seen my love for barn wood and anything re-purposed. You have given me advice – some that I took, some that I ignored (and probably SHOULD have taken). You have given me support and encouragement when I really needed it. It’s been a great first year. I am stealing this idea from my friend Katie and doing the traditional one year anniversary gift… paper! 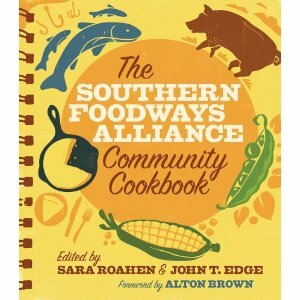 I am giving away a copy of The Southern Foodways Alliance Community Cookbook! This thing is full of mouth watering, delicious recipes that are easy to follow, and easy to devour too! No, the Southern Foodways Alliance isn't sponsoring this. Just me. I love Food. I love blogging. I love y'all. Here's how to enter to win! Leave a comment about what makes you smile! You don't even have to be a follower (but it would make ME smile if you were). If you want to enter a second time, you can tweet about it and mention me @BrandiNell. Can't wait to hear from you! The deadline to enter is Sunday, May 1st! Hubs and I look forward to sharing another year ahead with y'all! Thanks for sharing in our journey! 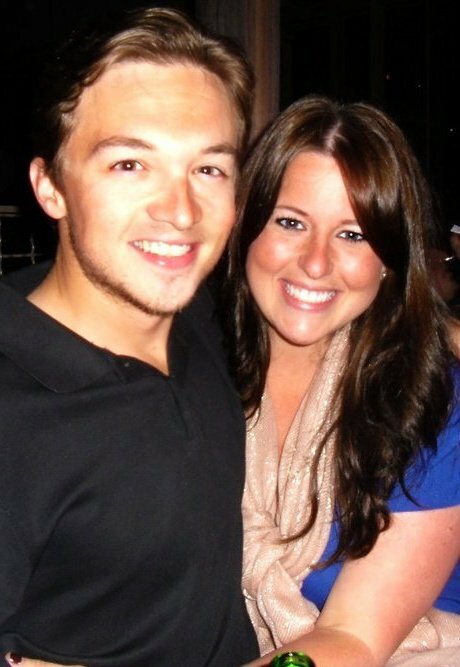 Yay for your blogiversary!! Okay...what makes me smile....I'd have to say my sweet Maisy's face makes me smile everytime I look at her and her tongue is sticking out at me! :) Thanks for the wonderful giveaway!! Congrats on blogging for a year! My dog makes me smile. Margarita Fridays make me smile! Ha! Congrats on your one year blogoversary! My hubs, family, and friends always make me smile! I do love reading your blog btw (it also makes me smile) b/c you have so many ideas that I would love to borrow as time goes on! You're so creative with the townhouse and I love reading about your DIY projects! We'll be starting our first one soon! When we find a free weekend absent rain :).